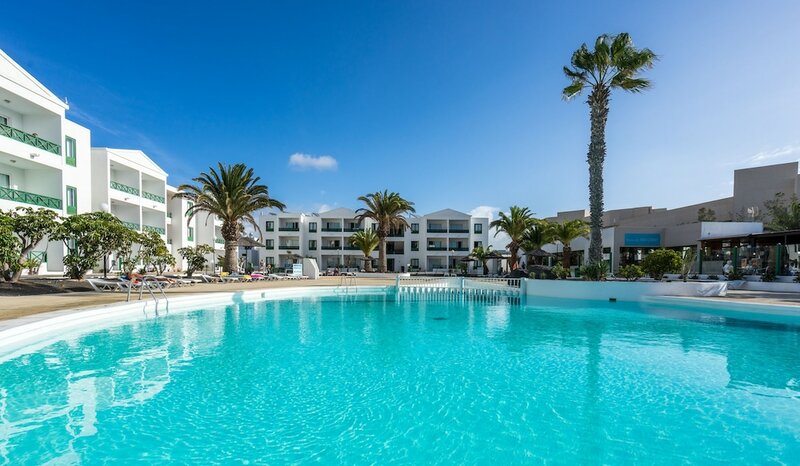 When you stay at Apartamentos Blue Sea Costa Teguise Beach in Teguise, you'll be in the entertainment district, a 4-minute drive from Las Cucharas Beach and 8 minutes from Costa Teguise Golf Club. This beach apartment is 12.1 mi (19.5 km) from Pocillos Beach and 4.4 mi (7 km) from Cesar Manrique Foundation. Make yourself at home in one of the 99 guestrooms, featuring kitchens. Rooms have private balconies. Complimentary wireless Internet access keeps you connected, and satellite programming is available for your entertainment. Conveniences include desks and refrigerators, and housekeeping is provided on a limited basis. Enjoy recreation amenities such as an outdoor pool or take in the view from a garden. This apartment also features complimentary wireless Internet access and concierge services. You can enjoy a meal at the restaurant serving the guests of Apartamentos Blue Sea Costa Teguise Beach, or stop in at the snack bar/deli. Wrap up your day with a drink at the poolside bar. Breakfast is available for a fee.